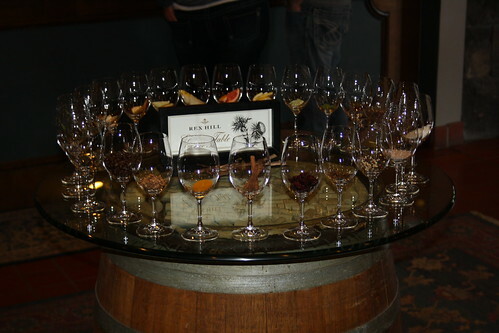 Sunday 1st March dawned bright and sunny with a nice cool bite in the air – a perfect day for wine tasting! 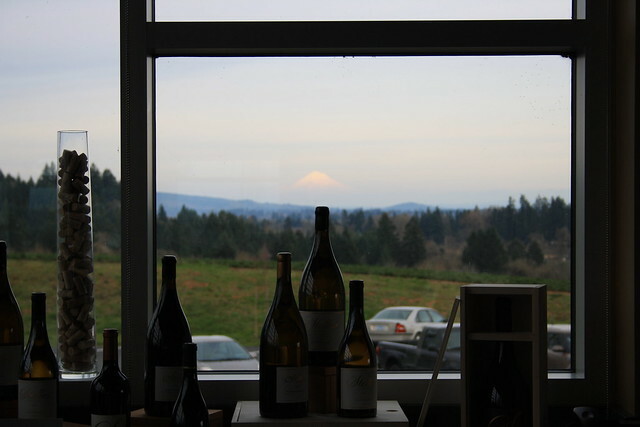 (Actually any day is perfect for wine tasting, but at least with nice weather you get good photographs as a bonus). 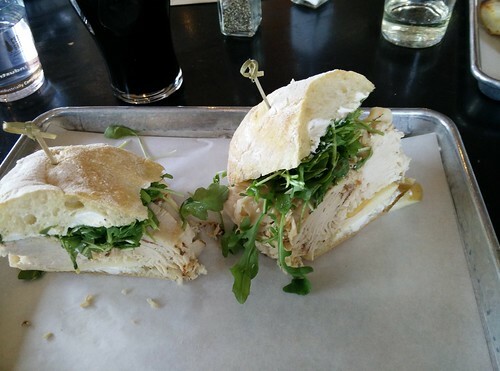 Because lunch was included in our tour, we had a lazy breakfast at Brix Tavern, which is about a 15-20 minute walk from our apartment. We do seem to be getting quite a bit of incidental exercise every day (which certainly won’t harm us when you look at the food we’re consuming!). 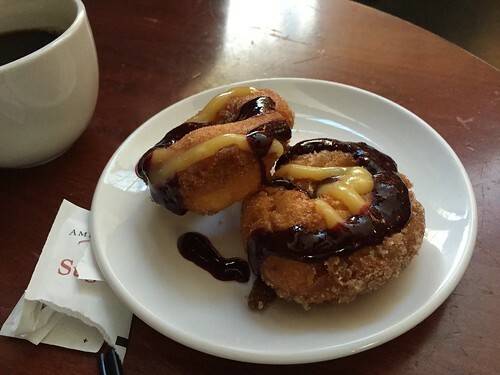 Please note: we did NOT order the donuts – I think they thought we looked like we needed fattening up and brought them to us complimentary!??? 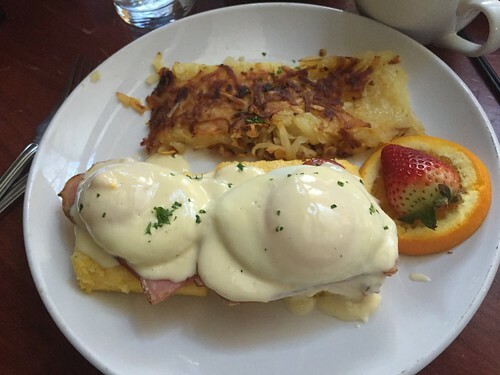 Thank heavens for the 20 minute walk home to let our breakfast settle before the wine tour. 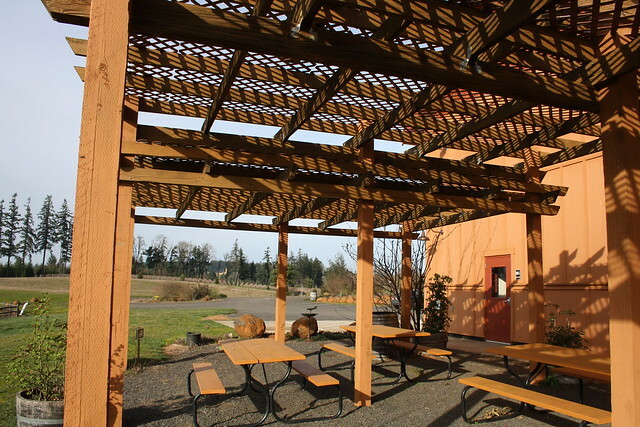 Our guide for our Willamette Valley Wine Trail, Stephanie, picked us up right outside our front door. Luckily for us we were the only 2 booked in, so we had a lovely private escorted tour. 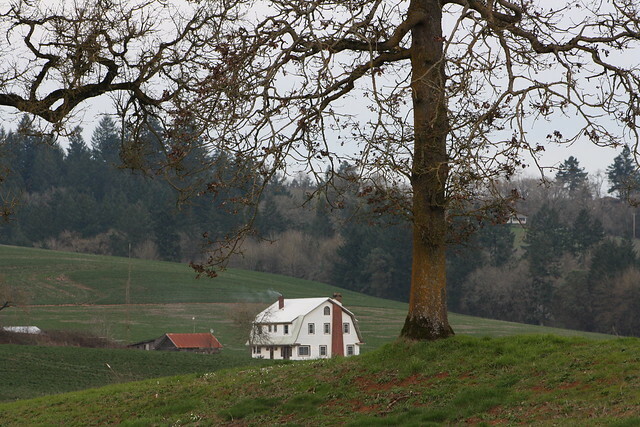 We headed South of Portland and into the Willamette (rhymes with damn-it!) Valley. It was a little like heading out of Adelaide into the Adelaide Hills – nice wine growing country! Again, I was delighted by all the trees starting to blossom – it is so pretty. 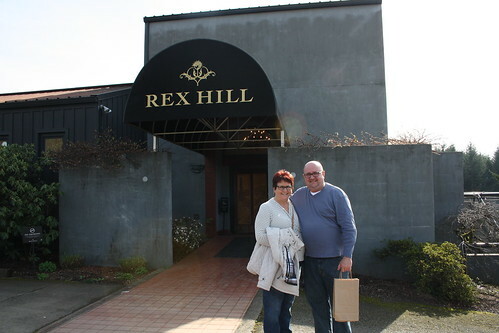 Our first stop was at Rex Hill Winery, and the wines were delicious! After Rex Hill we headed into the township of Dundee and stopped at the Red Hills Market for lunch. They feature a lot of local produce and had a tremendous range to choose from. Stephanie had the company credit card, and we were able to select whatever we wanted off the menu, but after our rather huge breakfast we opted for a sandwich which, of course, turned out to be HUGE!! 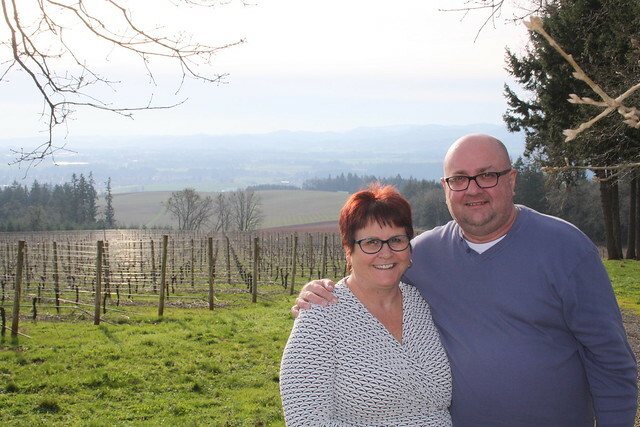 Our third and final winery was closed for a private function, but luckily for us Stephanie really knows her way around the vineyards, and she took us to her “back-up”, the Stoller Family Estate. The guy pouring the wines for us must have decided we were in need of a drink or two, and just kept pouring (and we weren’t objecting)!! Funnily enough, I DID find a wine here that I wasn’t too fond of, and both Shane & I did something I never thought we would … we poured it out!! Ouch!! It still hurts to think about it. The sun was starting to set as we finished up at Stoller’s, and we had beautiful views across to Mount Hood before heading back to Portland. As usual, we did have a great time, and would recommend this tour to anyone visiting the area. The Evergreen tour guides are very knowledgeable, proud of their region, and more than happy to share their knowledge with you. Stephanie dropped us off in the city at a popular restaurant Tasty’n’Alder, but unfortunately it was chockers, so we decided to amble home, and grab some Thai food to eat at home and have an early night. All that fresh air and wine-tasting really took it out of us!! 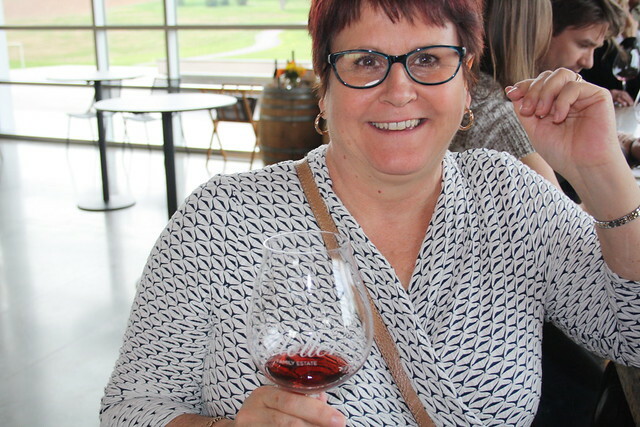 ← Wine, Wine, Wine … That’s all she does!! 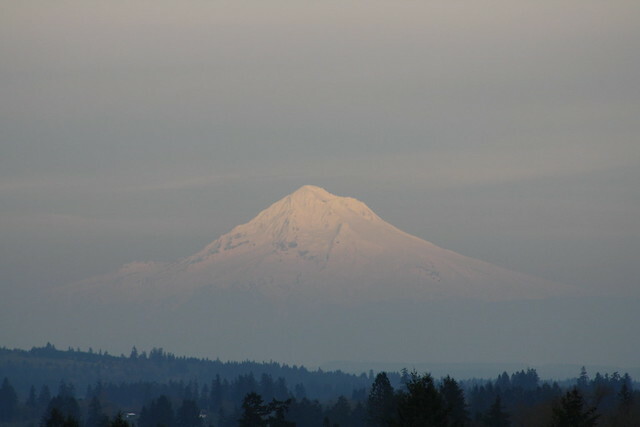 Cool picture of Mt Hood, Ali. Can tell you took that picture.